We LOVE casseroles. We say- The cheesier, the creamier, the better. Before we started eating clean, I had a few staple casseroles that I would rotate, making at least one every week. One was a chicken casserole (chicken, cream of chicken soup, Ritz crackers, all topped in melted butter), and the other was “Corn Bread Chicken Pot Pie” (chicken, cream of chicken soup, frozen vegetables, and a JIffy corn bread mix on top.) I won’t lie…both are very yummy. However, both are also filled with junk and high in fat and calories. My taste buds say yes, and my thighs say, For the Love woman…DON’T DO IT!. Joey is pretty good at eating clean, but those casseroles are the one thing he can’t let go of, so occasionally I make them as a treat. Still, I have been on the search for a clean casserole that satisfies our taste buds and our need for that creamy comfort food.I’ve finally found it. I was so nervous as he took his first bite tonight, afraid it wouldn’t live up to his old friends. However, he LOVED it and Jonah LOVED it. His only critique was that it could be a little less spicy (we both have a very weak tolerance of spicy things), so next time I will use less hot sauce. I hope you enjoy it as much as we did! 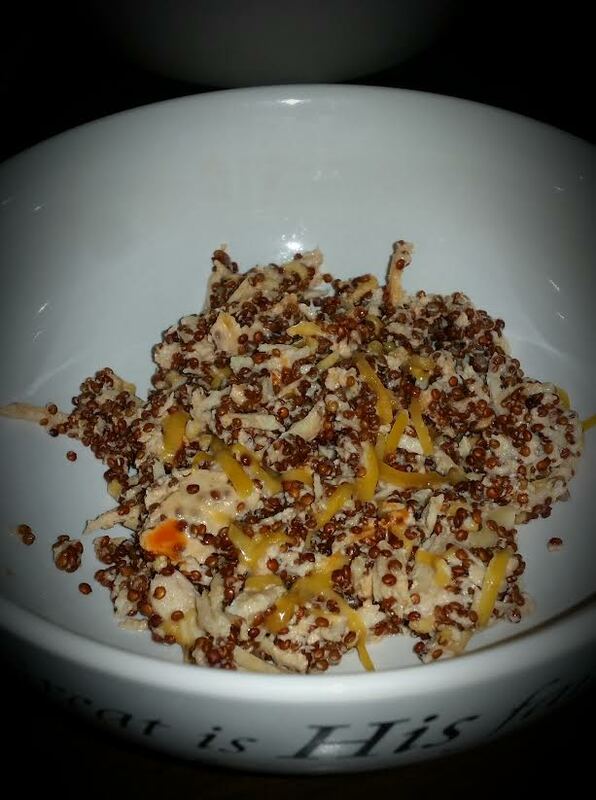 In a large bowl mix quinoa, greek yogurt, water, chicken broth, chicken, garlic powder, buffalo sauce, shredded cheddar cheese. Seriously? Can it get any simpler. 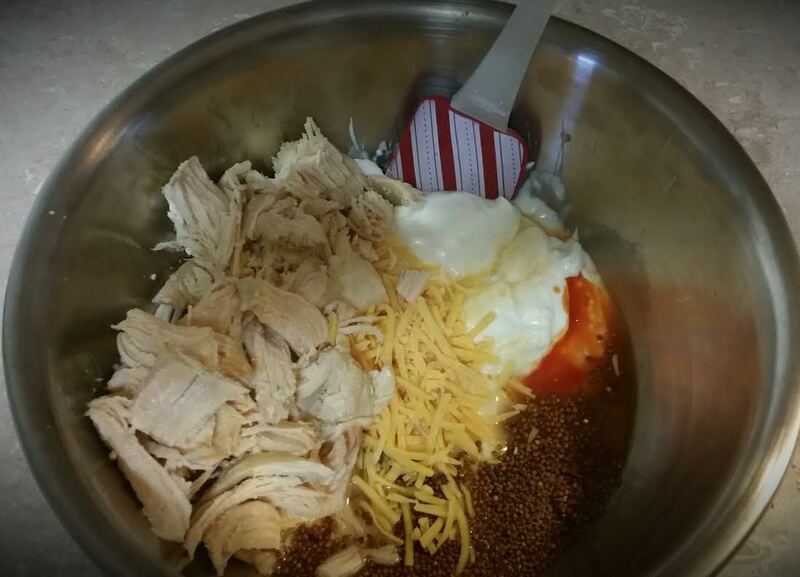 Any dish that involves throwing all ingredients into a bowl and mixing is a friend of mine. 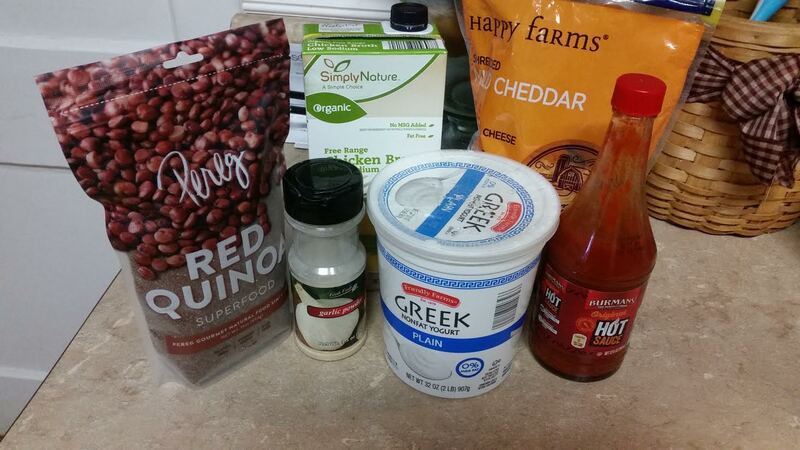 *I only used 1/8 cup Buffalo sauce since we don’t like things very hot. You can use more or less. *I make a big crockpot of chicken at the beginning of the week (3 hours on high), so it was super fast tonight to throw all of this together. Bon Appetit!